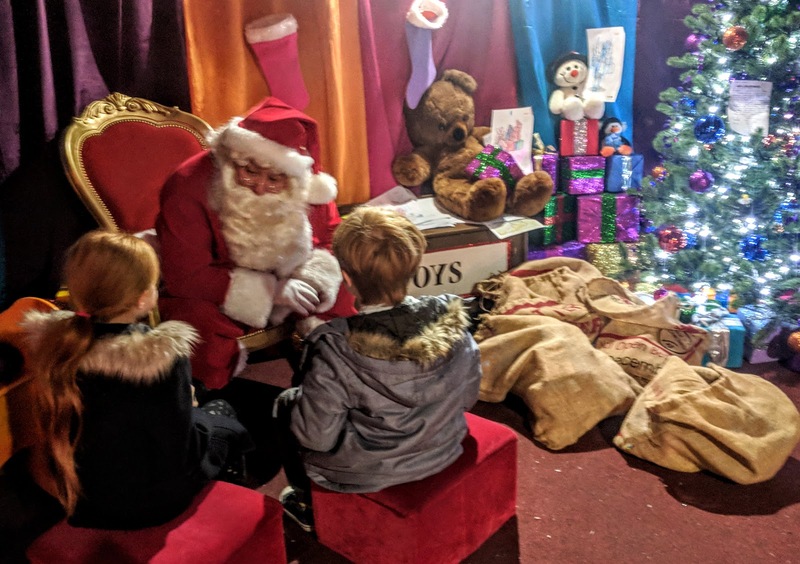 I think we are spoilt for choice when it comes to visiting Father Christmas and trying to figure out where to visit can take some serious thought. Hopefully, this post may help a little. 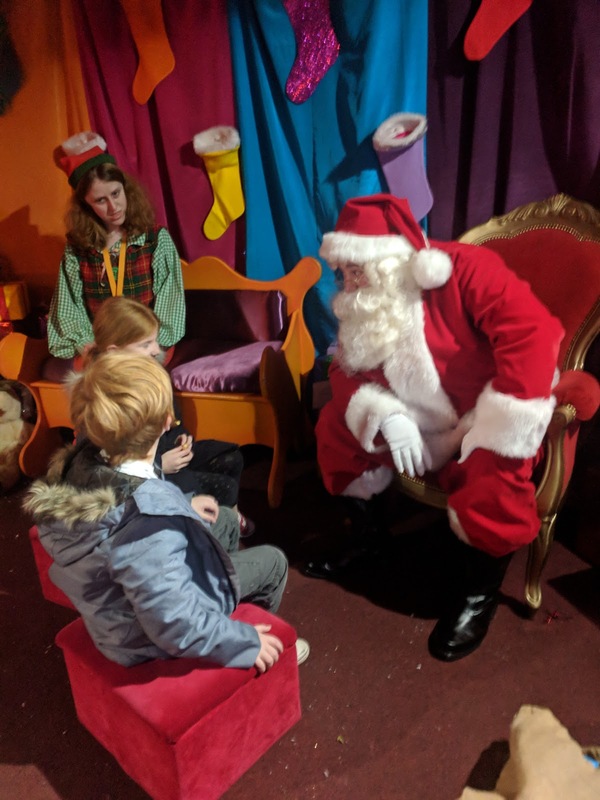 Father Christmas is FREE to visit at intu Metrocentre and what's more, he's pretty good. 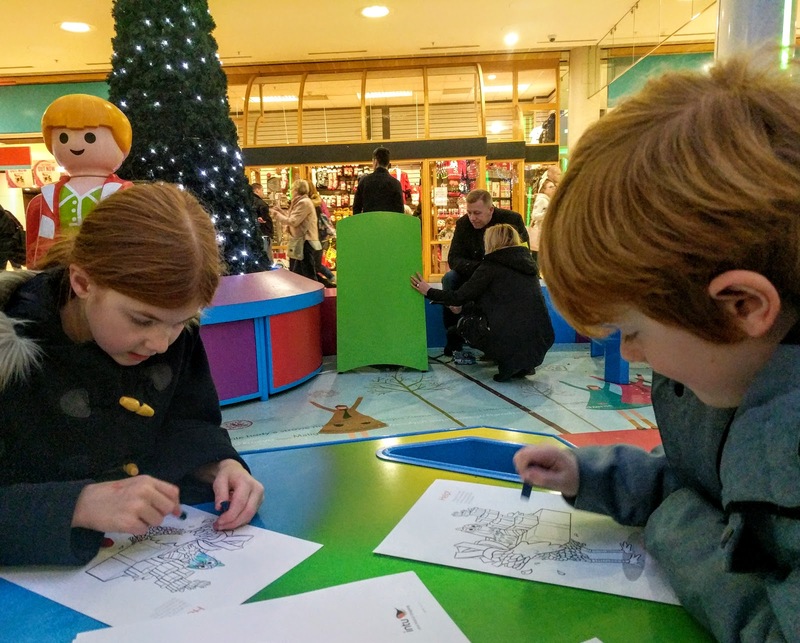 The grotto is festive, there's colouring in tables to keep the kids entertained in the queue, kids will receive a very decent Playmobil set as a gift AND Santa and his elf are cheerful and chatty. Plus there's free parking at intu Metrocentre and lots of other ways to keep the little ones entertained during your visit too. What's not to love? 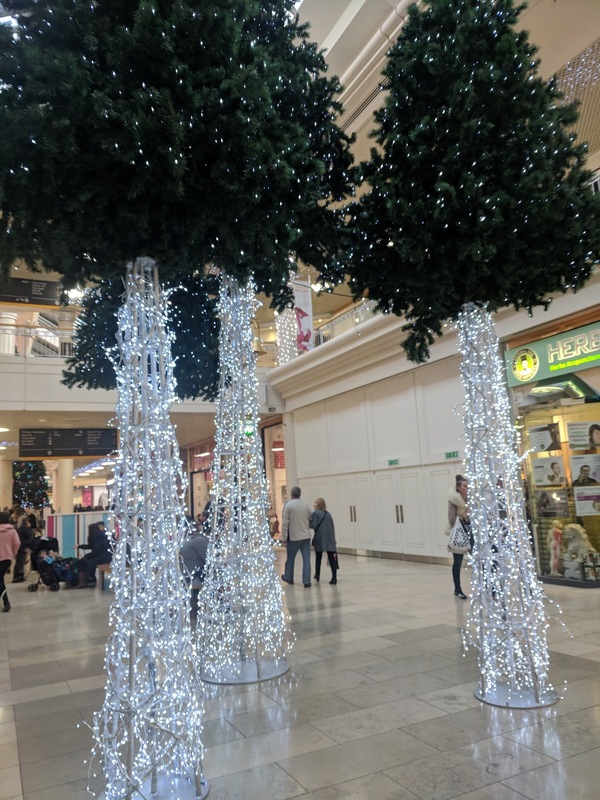 First of all, a big shout out to the Christmas decorations at intu Metrocentre - they are just so pretty! It's worth a trip just to check them out. The giant light-up reindeer is definitely my favourite and the Christmas tree is the tallest that we've ever seen. 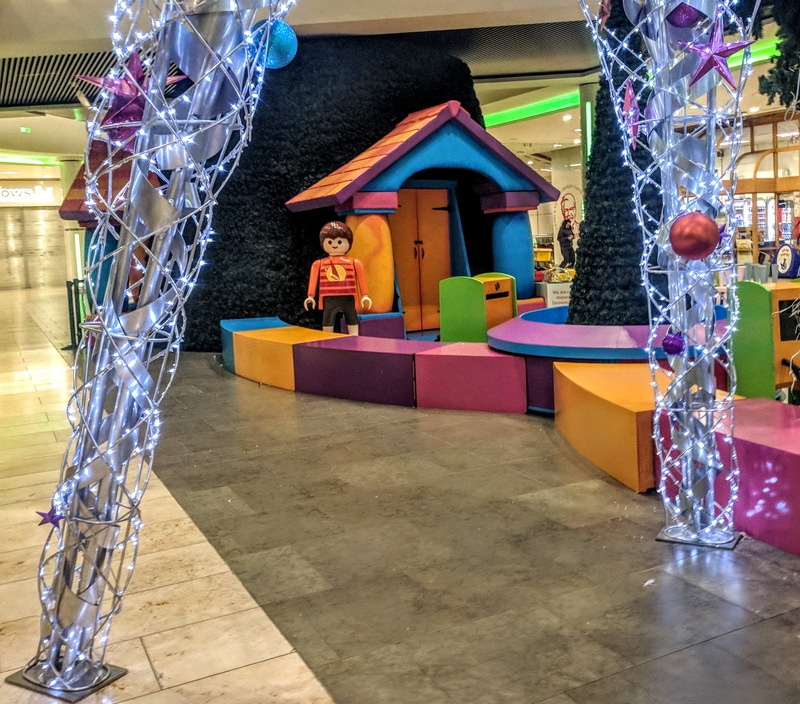 You'll find the Christmas Grotto next to the Yellow Customer Service desk in the lower Qube opposite Argos. 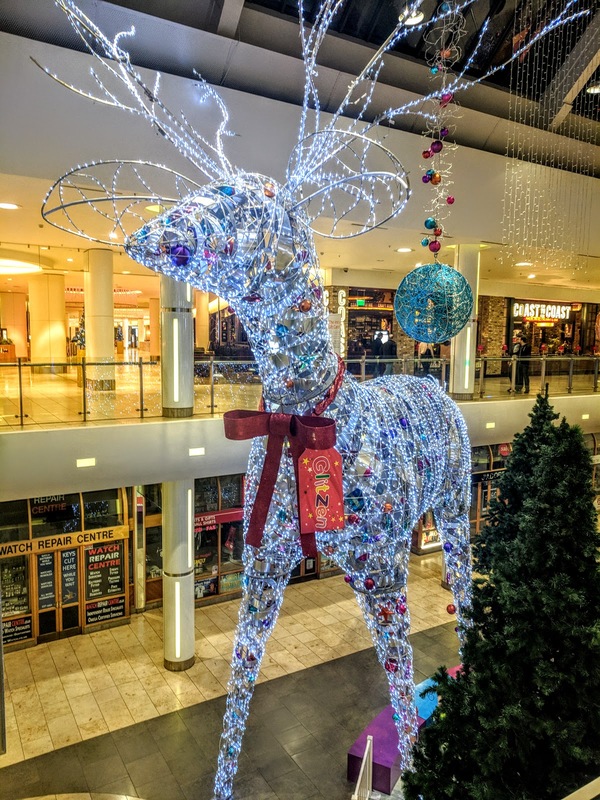 You can't miss the entrance right by the giant light-up reindeer. You don't need to book or pay anything - it's completely free and you simply turn up during opening hours and join the queue. Here's all the essential info you need to know. 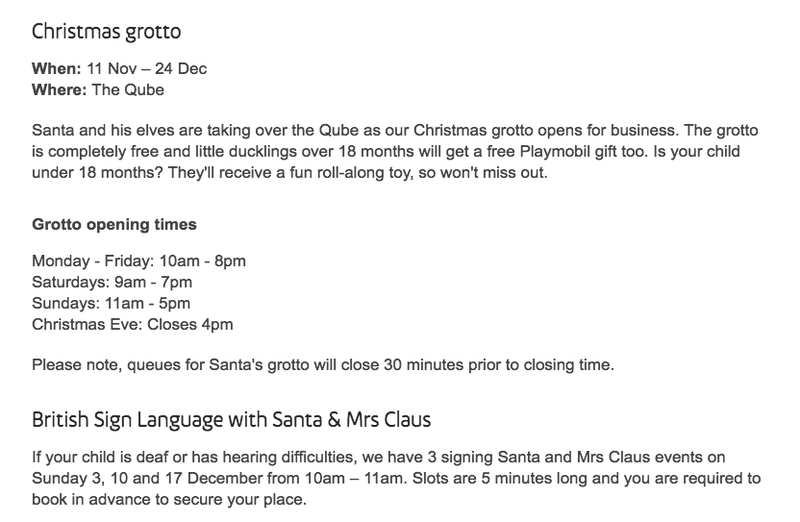 You can book online for signing Santa here. We visited on a Sunday evening at around 4pm and the queue was around 20 minutes long (there are helpful signs letting you know how long you'll have to wait). 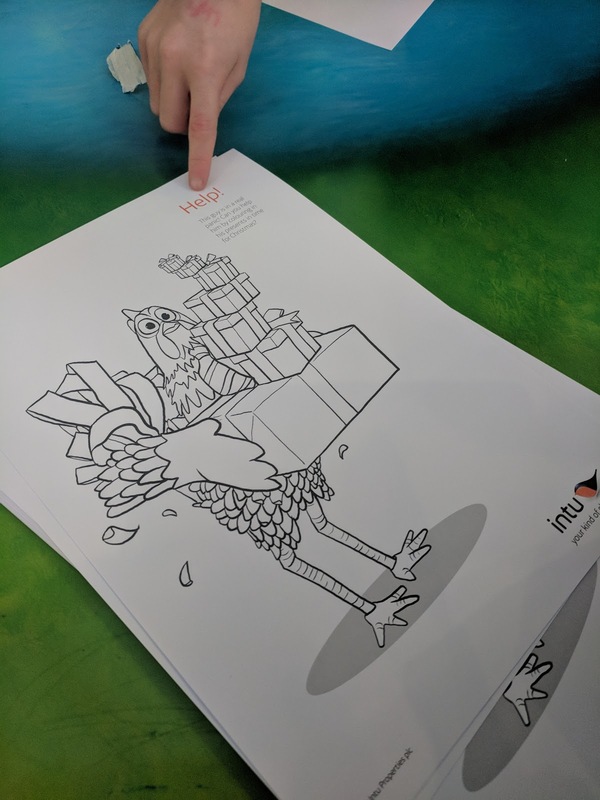 There are colouring tables and sheets to keep little ones entertained while you wait and the time passed super quickly. 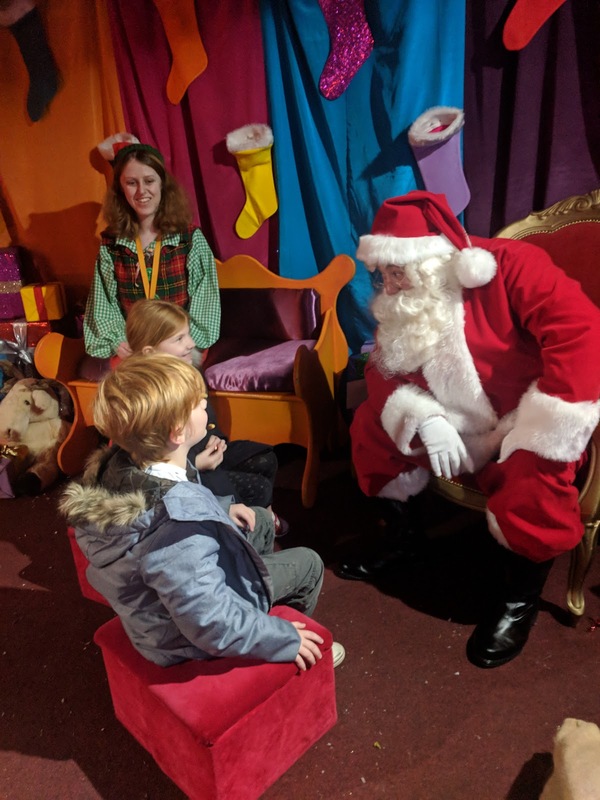 Once you've made it to the front of the queue, a friendly elf will welcome your family into Santa's grotto. 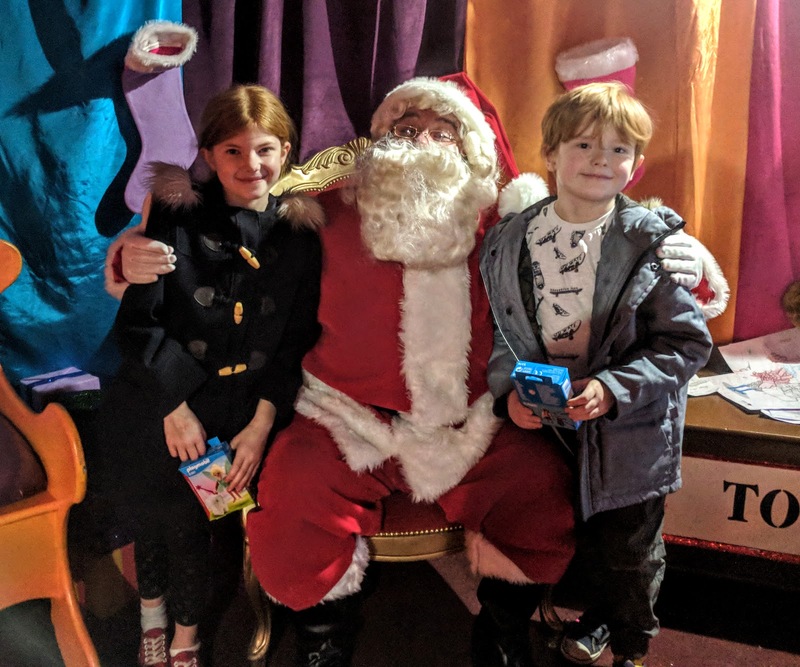 Father Christmas is lovely - he took the time to chat with Heidi and Jack (read this post to find out why Harry wasn't with us) and asked them what they'd like for Christmas and what they were doing at school. Heidi and Jack really warmed to him. There's plenty of opportunities for photos too and I liked that I could stand at the back to get these more candid shots as well as join in and chat with Santa and the kids too (mostly about Jack's behaviour - I'm afraid I'm one of those parents who uses Santa as a bribe to be good at this time of year). Our chat lasted 3-5 minutes and at the end, Father Christmas handed Heidi and Jack their very own Playmobil set. 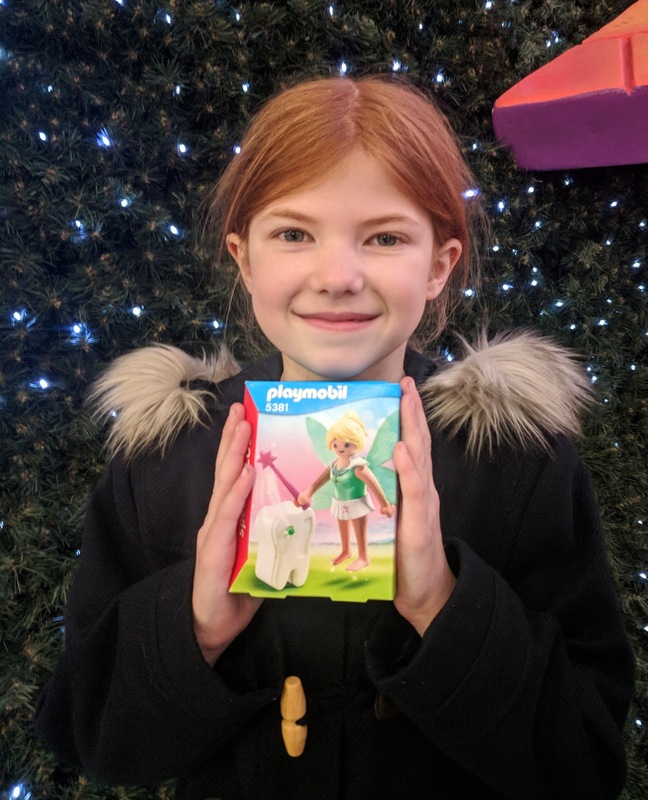 Heidi received the tooth fairy set which is currently selling for £2.99 on Amazon and Jack received the Pirate and cannon (also £2.99). I honestly can't believe this is all completely FREE of charge. 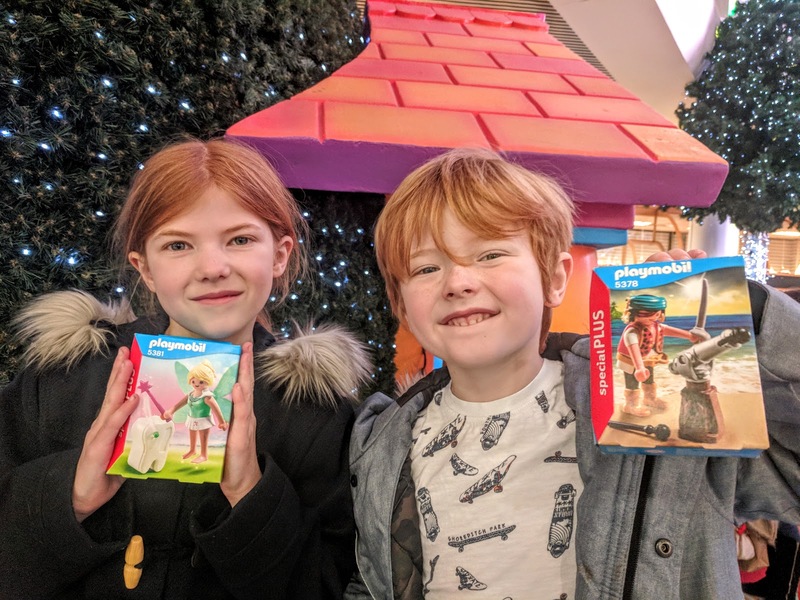 Heidi and Jack were chuffed to pieces with their gifts, I mean what child doesn't love Playmobil? The figures kept them busy as we waited for dinner at MOD Pizza later on in the evening too. Children under 18 months will receive a roll along toy. 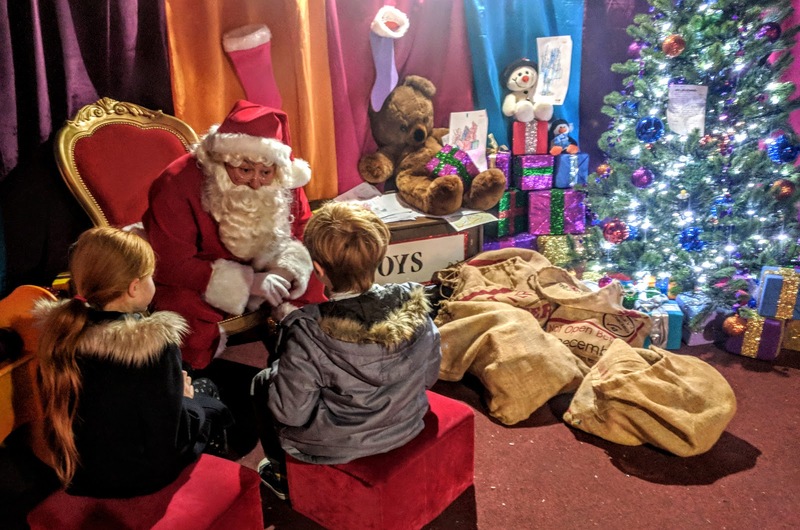 There's lots of fun you can add to your visit to Father Christmas and really make the most of your day. 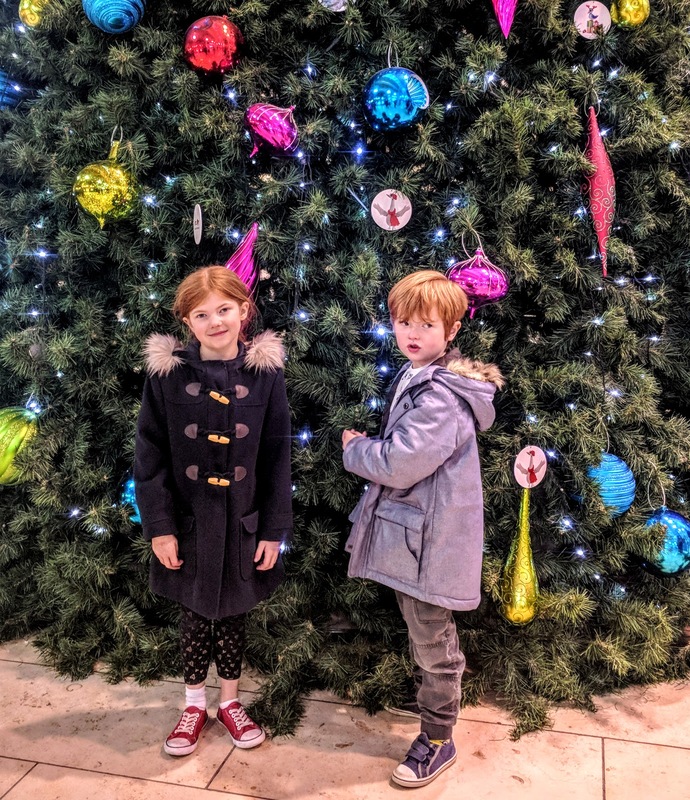 We watched Paddington 2 at the Odeon and loved it. If you're looking for an ideal movie to watch with the kids, we can't recommend Paddington enough - I think it's actually better than the first one! A quick heads up that if you book to see 'Olaf's Frozen Adventure' at Odeon Metrocentre at 10am on 25 - 26 November, every child will receive a FREE Olaf Lego figure and a £5 voucher to redeem at the Lego Store. Terms and conditions apply, see here for details. if you're looking to save money, Odeon Kids club show family films every weekend morning and tickets cost just £3.25 each. 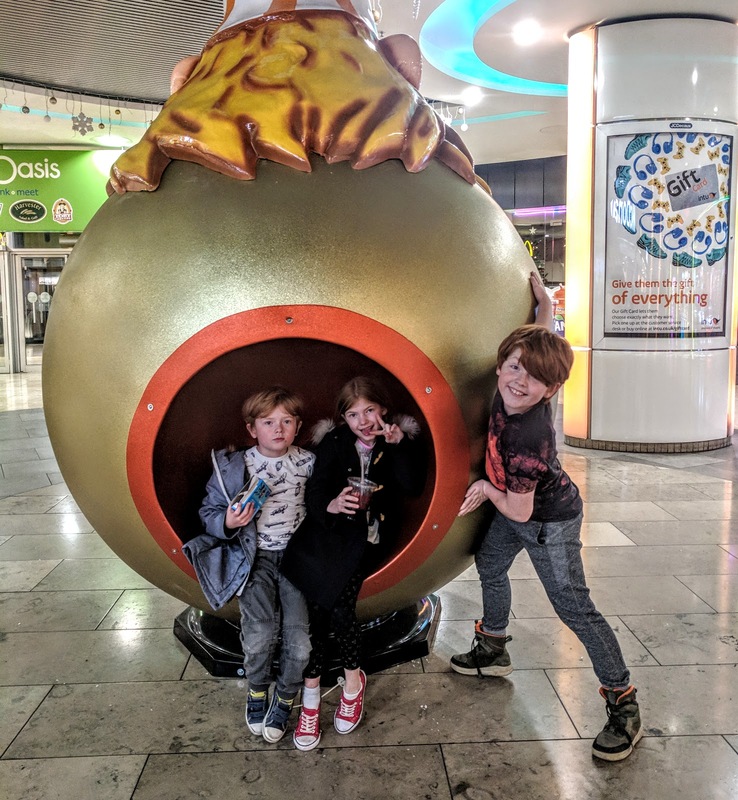 There are loads of places to dine with the kids at intu Metrocentre - our go-to places are Carluccio's, Yo Sushi or BarBurrito. 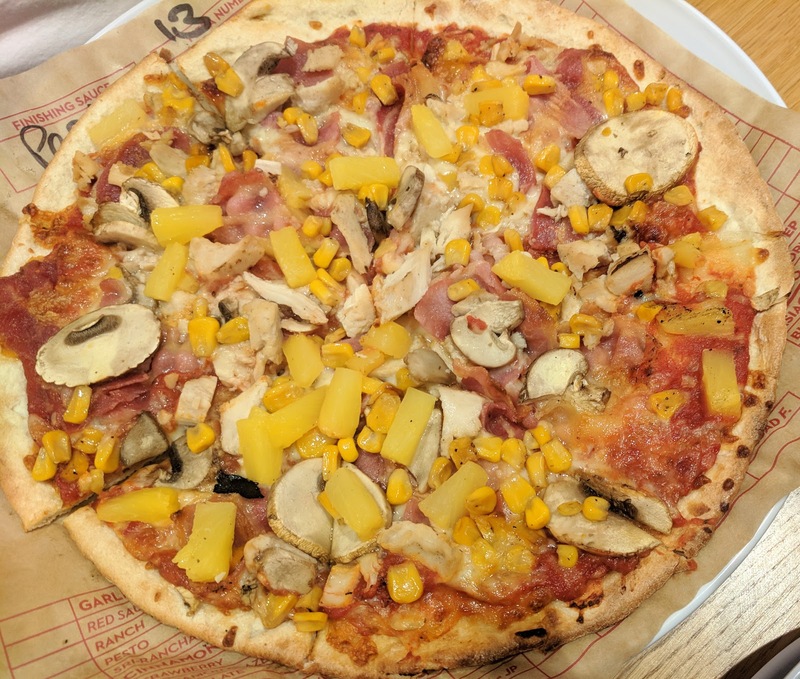 We were recently invited along to try MOD Pizza with the kids and were really impressed so will add them to our list of recommendations too. 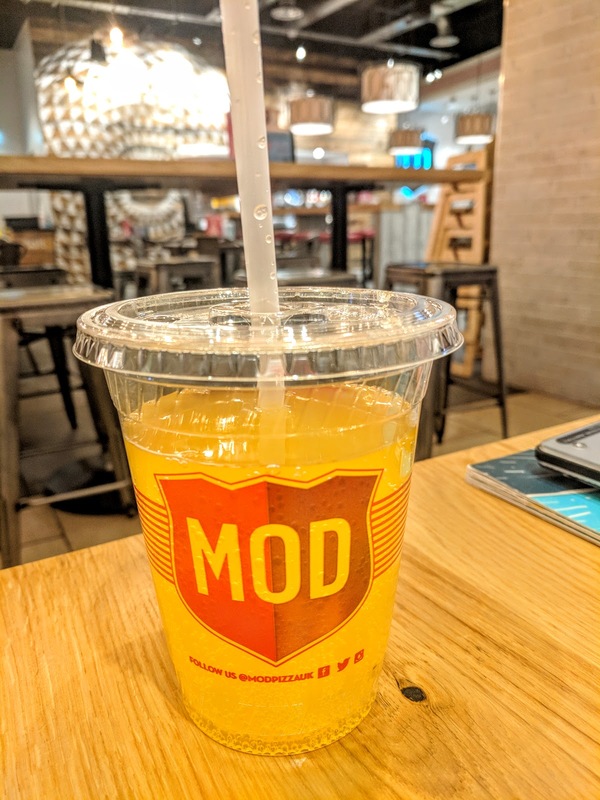 MOD Pizza is perfect if you're looking for a quick pizza and like to try lots of different toppings. Pizzas are all made to order and you can order as many or little toppings as you like for the same price. We also like the unlimited soda machine - you can try 37 different combinations. I went for the cherry fanta (throw-back to Florida). My three loved crafting their own pizza at MOD. You order at the counter and move along the stations asking the staff to add toppings as you go. It's fab for kids as they can physically see what is going on their pizza. Jack made me laugh as he kept asking for more sweetcorn! The pizzas are cooked in a matter of minutes and brought straight to your table. 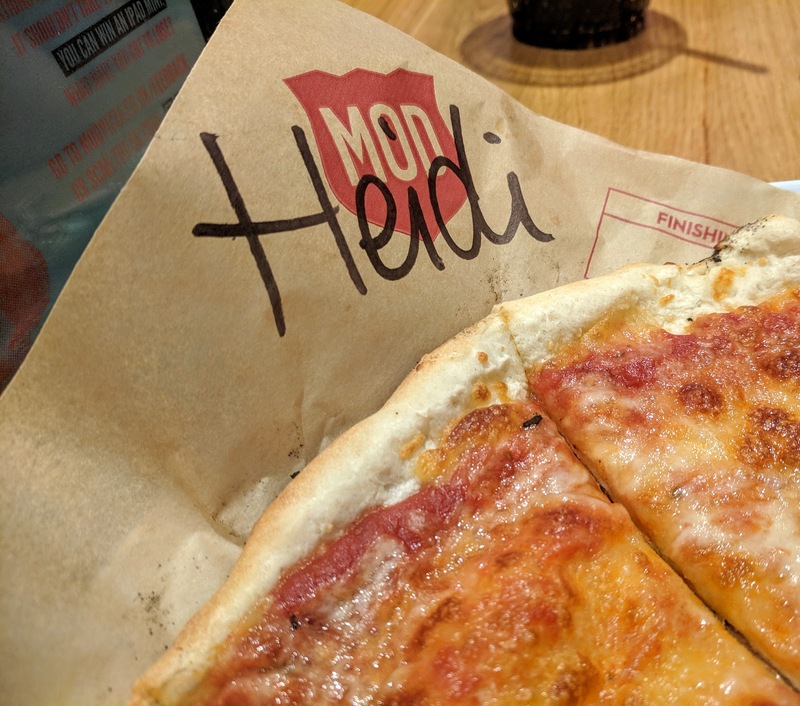 The service is personal too - your name is written on your pizza so there's no chance of a mix-up. 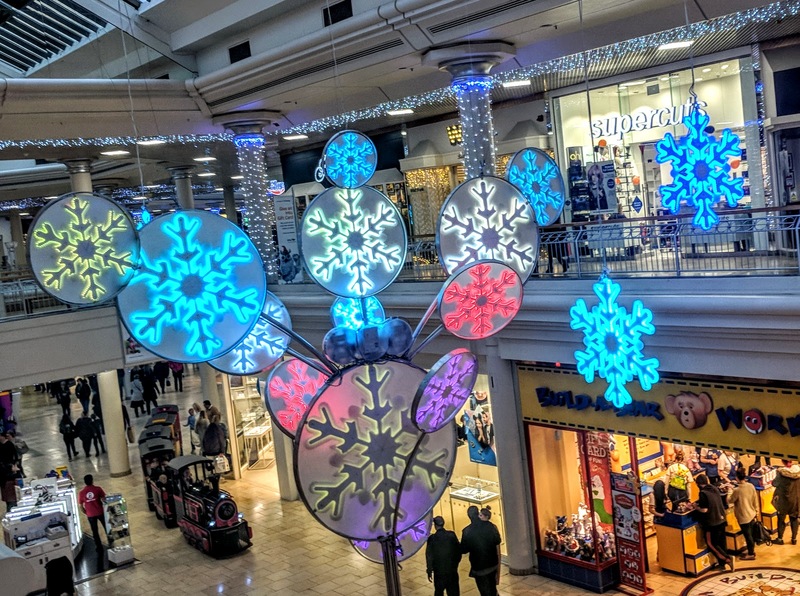 If you forward this video to 6 minutes 30 seconds you'll be able to catch a glmpse of some of the festive decorations and watch us select our MOD pizza toppings. Heidi and I are pretty boring and like our pizzas plain and simple. I think on my next visit I will pick a few toppings though as my pizza did taste on the bland side. A special shout out to the dipping sauces you can order on the side. The pizza dipping sauce was my absolute fave where as Steve preffered the hot sauce. Steve's pizza included the not so popular combination of pineapple and pesto....hmm not sure I'd choose that but I guess that's the beuty of being allowed to create any combination you like. Harry normally sticks with Pepperoni but added some other meats this time and Jack loaded his pizza with chicken and sweetcorn. The pizzas arrived piping hot but as soon as they had cooled enough they were ready for us to tuck in. Not the best pizza we've ever eaten but most definitely not the worse either and we thought they were perfect for dining with kids as they were so quick and easy plus good for picky eaters. We were able to bring our leftovers home in a pizza box too. 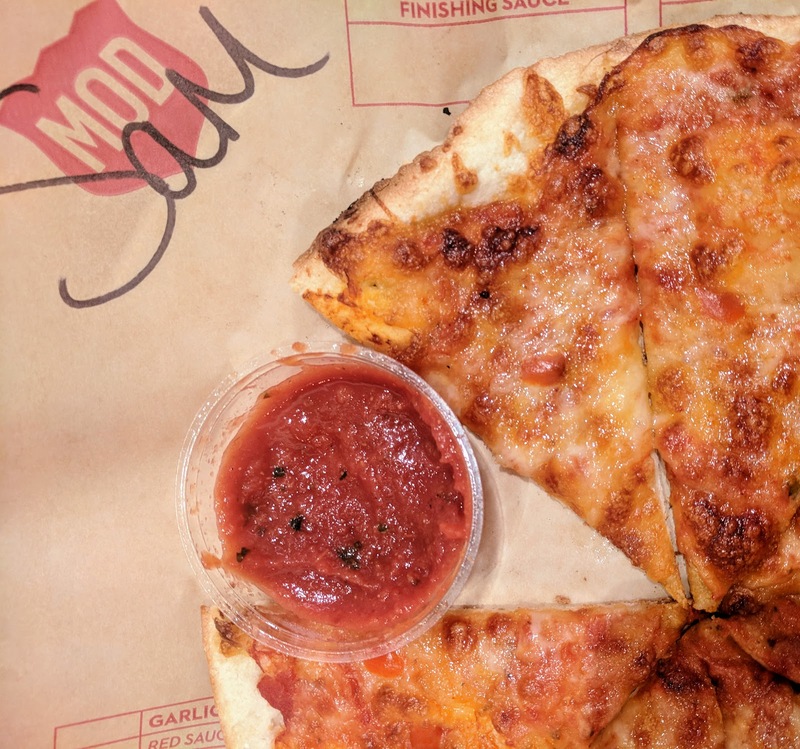 We all left MOD Pizza saying we'll be back when we need a quick pizza fix during our next shopping trip. 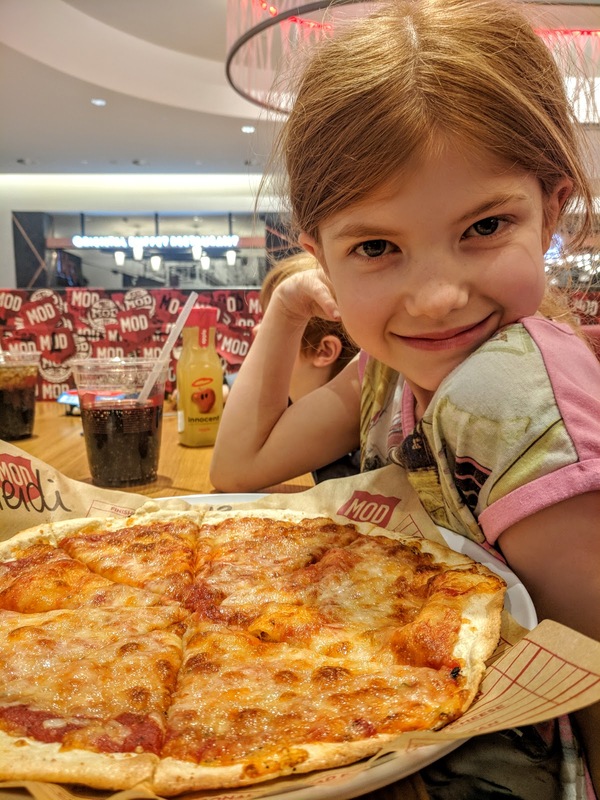 Make sure you follow the MOD Pizza Facebook page as they often run Kids Eat Free promotions. 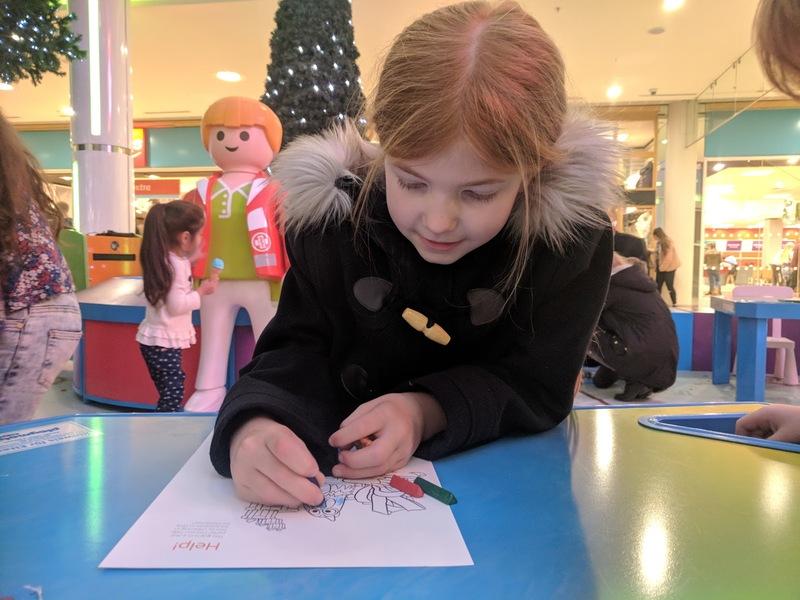 We loved our little trip to intu Metrocentre and would 100% recommend you add a trip to enjoy a bite to eat, a family movie and of course a visit to meet Father Christmas and receive a FREE Playmobil toy.